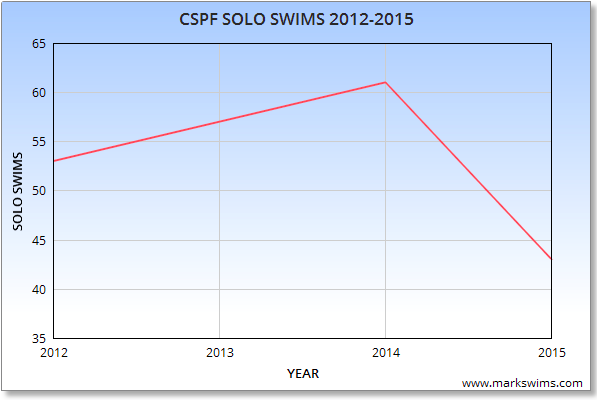 www.markswims.com: CS&PF 2015 end of season stats.. a closer look. CS&PF 2015 end of season stats.. a closer look. 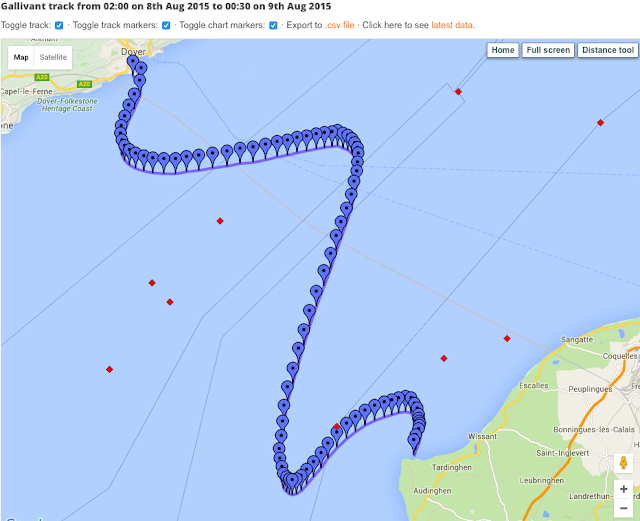 At the close of the 2014 season I composed a post here reflecting on the CS&PF statistics regarding successful English Channel Solo swims. The post proved to be very popular, hence it was always my intention to more or less repeat the procedure with the 2015 figures. In the same manner as last year, the information has been gathered from the most excellent Channel Swimming & Piloting Federation website. At the outset it appears obvious that the weather gods have played their part in thwarting a lot of swims this year, you can see at a glance on the below graph (data from 2012-2015 only) how the figures have dipped this year. The season was opened by 2 Way EC legend Wendy Trehiou/Suva swimming on 25th June in preparation for her 24 hour St.Malo to Jersey swim with Matthew Clarke and Lionheart Pilotage ! 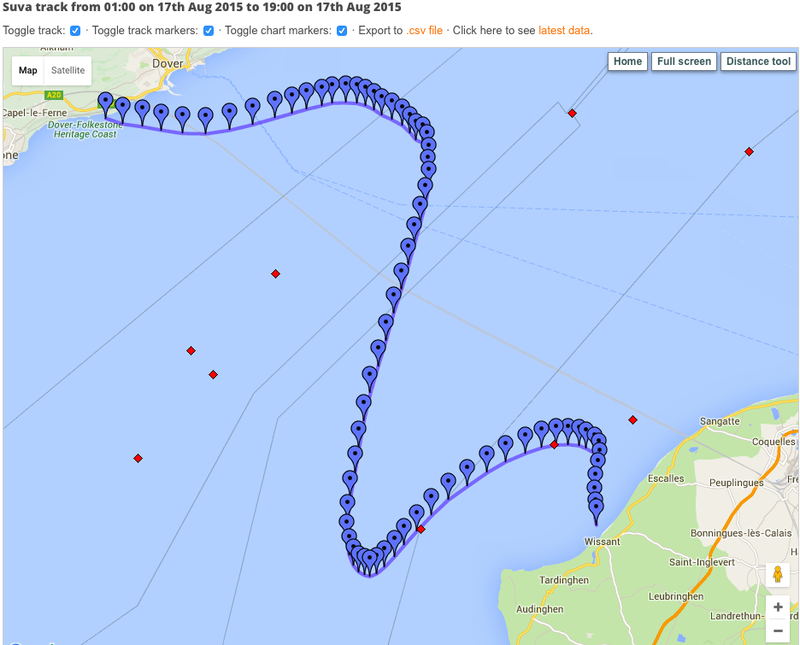 Mr 'Big Love' (President) Nick Adams swam his 11th crossing on 8th August with Neil and the Suva crew. Liz Fry swam her 6th crossing on 28th August with Eddie/Anastasia. 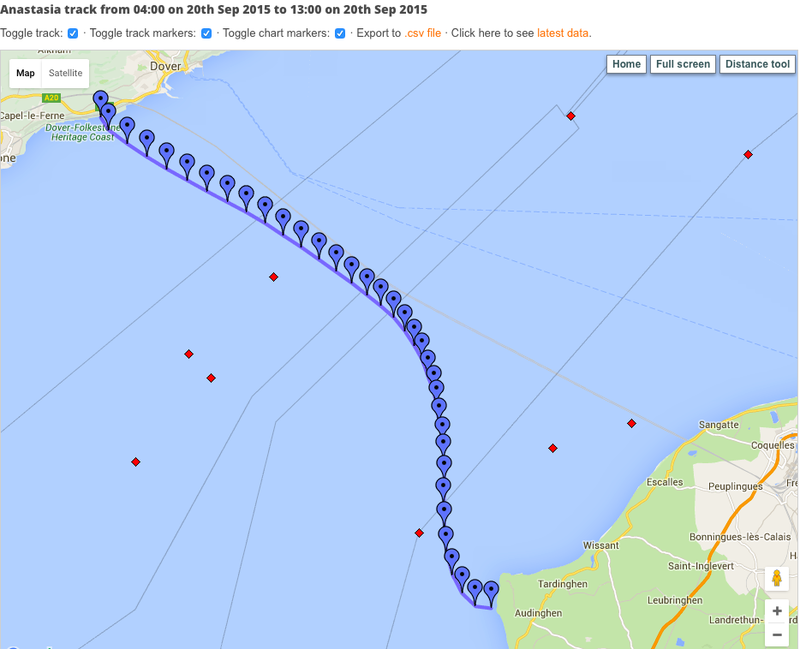 The season closed with Sue Croft completing the swim on her 4th attempt on Thursday 8 October in 15 hours 59 minutes with Neil and Team Suva. 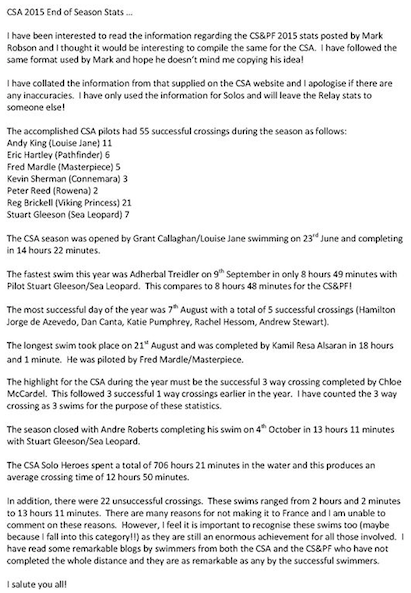 The Solo Heroes this year spent a total of 651 hours 30 minutes and 13 seconds in the Water. Equating to an average crossing time of 15 hours 09 minutes and 4 seconds. Congratulations to all swimmers, pilots and crews. There has obviously been a number of successful crossings recorded by The CSA including Chloe Macs. 3 Way ! however I do not have access to their data in full.